Gearbox took to its PAX East panel today, March 28, where it revealed the illustrious Borderlands entry fans have been waiting for ever since the conclusion of Borderlands 2: Borderlands 3, of course. The Borderlands 3 trailer debuted during the panel today, to much fanfare from viewers. The brief video clip (with a startlingly bad frame rate due to technical difficulties) revealed a variety of new locations, characters, and Vault Hunters to take on the role of. Flaming angel wings, fist bumps, and heavy weaponry were rife in the trailer, including looks at locations we've visited before. Randy doffed his overcoat to reveal a sparkling "3" on the back of his shirt that he had previously debuted on social media. Pitchford teased the audience with a cheeky set of videos that appeared to malfunction before giving the fans what they wanted, which prompted the crowd to loudly protest – After introducing the latest collection of Borderlands content, which brings together all of the previous games in the series for one massive new Borderlands: The Handsome Collection (in glorious HD and remastered). Everyone who attended the panel received a copy of the game for free, Pitchford announced near the end of the panel after some particularly disastrous results. Paul Sage and Randy Pitchford from Gearbox took the stage during the panel. The crowd booed at the prospect of a Borderlands battle royale game, and Pitchford clarified "that's not what we're making." The hour-long panel kicked off with the teaser we had already seen, in all its dubstep-infused glory. The very same Borderlands teaser dropped a few clues in the form of characters who might be new Vault Hunters or even villains, with Psychos gathering around a gun-toting character by an angelic figure and an upside-down Vault symbol. We now know that Tiny Tina is returning, though she's a little older now, as revealed in the teaser. For those who paid close attention to the trailer, eagle-eyed viewers found a special SHIFT code: WS6ST, which offers a community day skin for Salvador. Zero is coming up next, with additional skins on the way. We've been in the know for some time that there was a new Borderlands game coming at some point, but we hadn't had full confirmation until now. And now that we know the full story, it's positively glorious. 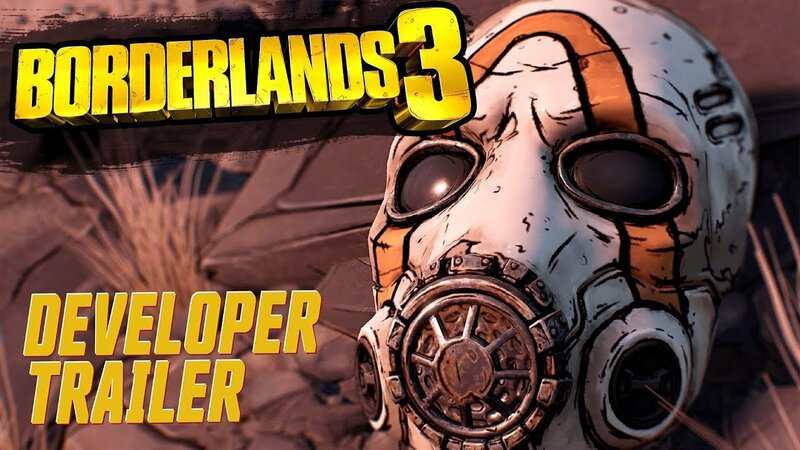 Ahead of the show, the studio released a special teaser for a Borderlands project, which fans had presumed to be Borderlands 3. There had been no official announcements ahead of the debut, but fans have been salivating over this announcement for quite some time. Now that Borderlands 3 is here, we can't wait to get our hands on it – it's going to be one hell of a time.